Knightsbridge Area Guide - What makes Knightsbridge so great? Where do Knightsbridge locals go? Share your favourite place to go to in Knightsbridge. "In 1898, Harrods installed the first escalator in England. Staff were close by to administer brandy to those traumatised by the journey!" 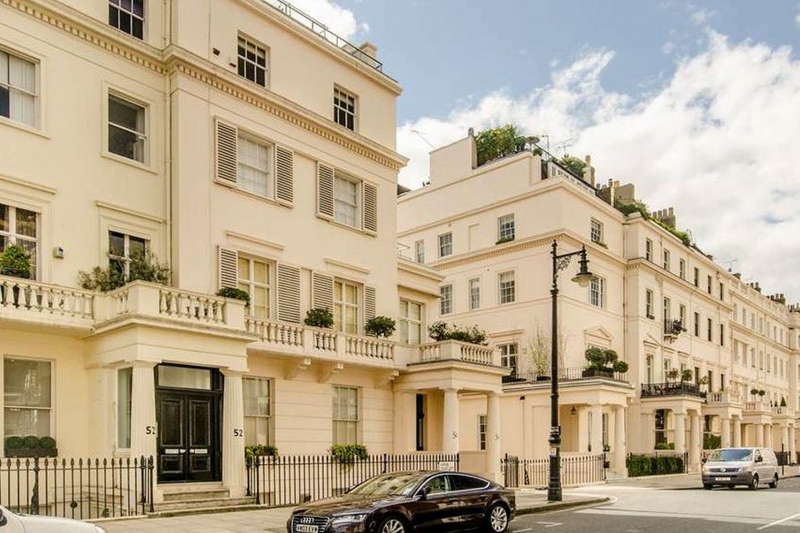 Belgravia is not only popular because of its location, but for its elegant properties too. The Natural History Museum, the Science Museum and the V&A are all within a stones throw of each other on Exhibition Road. I love wandering round The Natural History Museum - it's such a fun day out and there's so much to see! What do you think of Knightsbridge? Fun football coaching for children from 18 months to 7 years. Timetable: Nippers - 18months to 2.5 yrs - Tuesdays and Thursdays 10am-10.45am Runners - 2.5 yrs to 3.5 years - Tuesdays and Thursdays 10.45am - 11.30am and 3.30pm-4.15pm Racers - 3.5yrs to 5 yrs - Tuesdays and Thursdays 4.15pm-5pm Over 5s - Tuesdays and Thursdays 4pm-5pm Prices vary depending on age group. Knightsbridge is a road which gives its name to an exclusive district lying to the west of Central London. The road runs along the south side of Hyde Park, west from Hyde Park Corner, spanning the City of Westminster and the Royal Borough of Kensington and Chelsea. Up to Brompton Road, it is a part of the A4 arterial road, while the remainder is part of the A315. The eponymous district comprises the areas immediately surrounding Knightsbridge (the road) on the north, Sloane Street to its junction with Pont Street, and Brompton Road to its junction with Beauchamp Place. The district is notable as an ultra-expensive residential area, and for the density of its upmarket retail outlets, famously Harrods and Harvey Nichols. What are your favourite things about Knightsbridge? Find out how much your flat or house is worth om Knightsbridge. Feedback about living in Knightsbridge has been submitted directly by the public and may not neccessarily reflect the views of Foxtons. The description of Knightsbridge was modified from Wikipedia and is available under the Creative Commons licence. Land Registry data is Crown copyright. All the views and contributions contained within Foxtons Local Life are those of the contributors. All content is assessed before publishing for taste, however free opinion is encouraged. Foxtons accept no payment or sponsorship for content that is posted about Knightsbridge.